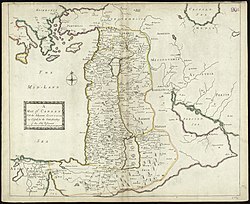 The word Canaanites serves as an ethnic catch-all term covering various indigenous populations—both settled and nomadic-pastoral groups—throughout the regions of the southern Levant or Canaan. It is by far the most frequently used ethnic term in the Bible. In the Book of Joshua, Canaanites are included in a list of nations to exterminate, and later described as a group which the Israelites had annihilated,. Biblical scholar Mark Smith notes that archaeological data suggests "that the Israelite culture largely overlapped with and derived from Canaanite culture... In short, Israelite culture was largely Canaanite in nature. 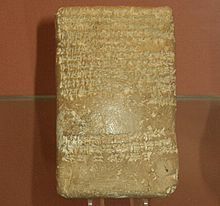 :13–14 The name "Canaanites" ( כְּנָעַנִיְם kena‘anim, כְּנָעַנִי kena‘anī) is attested, many centuries later, as the endonym of the people later known to the Ancient Greeks from c. 500 BC as Phoenicians, and following the emigration of Canaanite-speakers to Carthage (founded in the 9th century BC), was also used as a self-designation by the Punics (chanani) of North Africa during Late Antiquity.